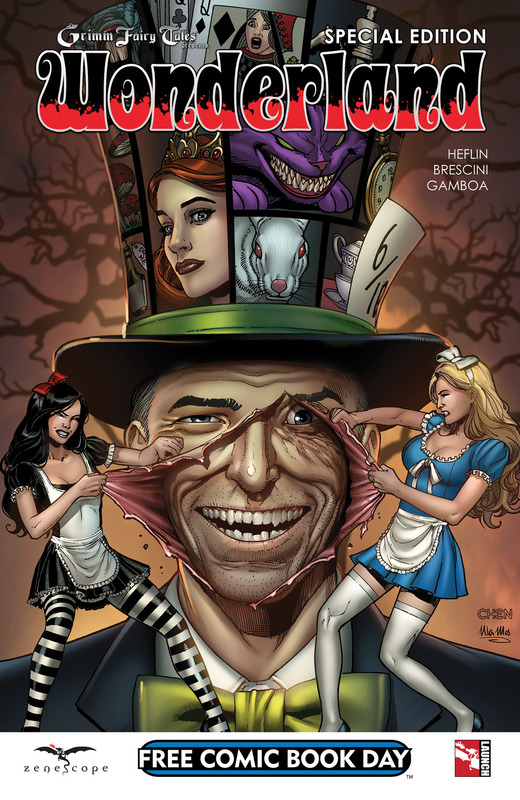 Zenescope Offers Two $1 Issues tying into FCBD! 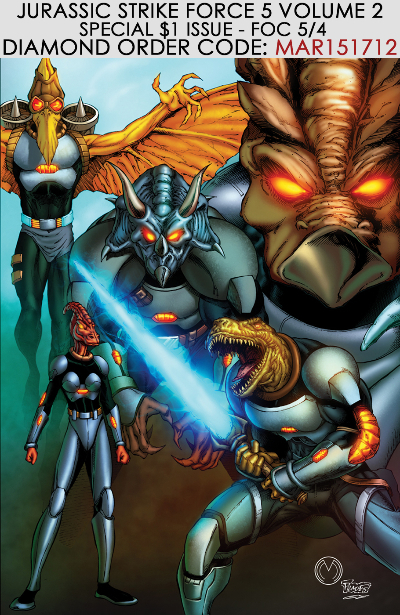 Also on tap from Zenescope’s all-ages label, Silver Dragon Books, is a brand new $1 issue ofJurassic Strike Force 5 – a series about a team of mutated dinosaur soldiers who set out to save Earth from the evil Zalex and his own army of mutants. 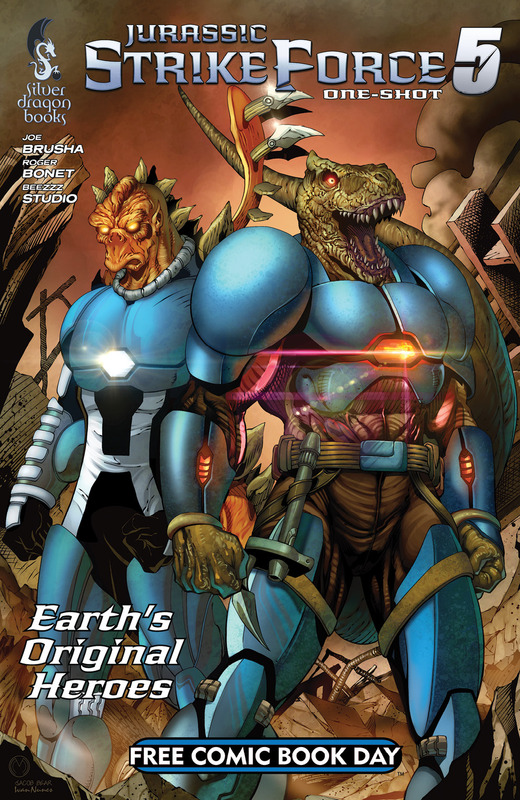 Zenescope’s $1 offering of Jurassic Strike Force 5 is set for a May 27th shelf date and will follow the release of Zenescope’s other Free Comic Book Day issue, the Jurassic Strike Force 5 one-shot. Both $1 issues are available for pre-order now in the Zenescope section of March’s Diamond Previews and both Free Comic Book Day issues debut May 2nd, 2015 at all participating retailer outlets. Check your local retailer’s schedule for Free Comic Book Day festivities and go towww.zenescope.com for more information on Zenescope’s titles.